Hopewell Cape tourism centers on the iconic rock formations that sit just off the coast. Kick off your visit on the 29th (Fri): examine the collection at Albert County Museum and then explore the striking landscape at Hopewell Rocks. To see where to stay, other places to visit, traveler tips, and tourist information, read our Hopewell Cape vacation planner. Toronto to Hopewell Cape is an approximately 4.5-hour combination of flight and taxi. You can also drive; or do a combination of train and taxi. You'll lose 1 hour traveling from Toronto to Hopewell Cape due to the time zone difference. Traveling from Toronto in September, expect slightly colder with lows of 11°C in Hopewell Cape. Finish up your sightseeing early on the 1st (Sun) so you can go by car to Saint John. 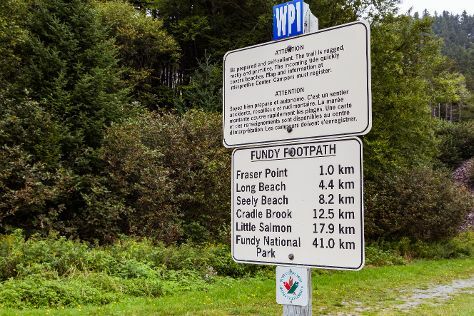 Step out of Saint John with an excursion to Fundy Trail Parkway in St. Martins--about 44 minutes away. The adventure continues: identify plant and animal life at Irving Nature Park, examine the collection at Saint John Police Museum, admire the masterpieces at New Brunswick Museum, and look for gifts at Manchester Shoe Salon. To find other places to visit, reviews, more things to do, and other tourist information, use the Saint John holiday planner. You can drive from Hopewell Cape to Saint John in 2.5 hours. Another option is to do a combination of bus and taxi. October in Saint John sees daily highs of 16°C and lows of 3°C at night. Wrap up your sightseeing on the 3rd (Tue) early enough to travel back home.